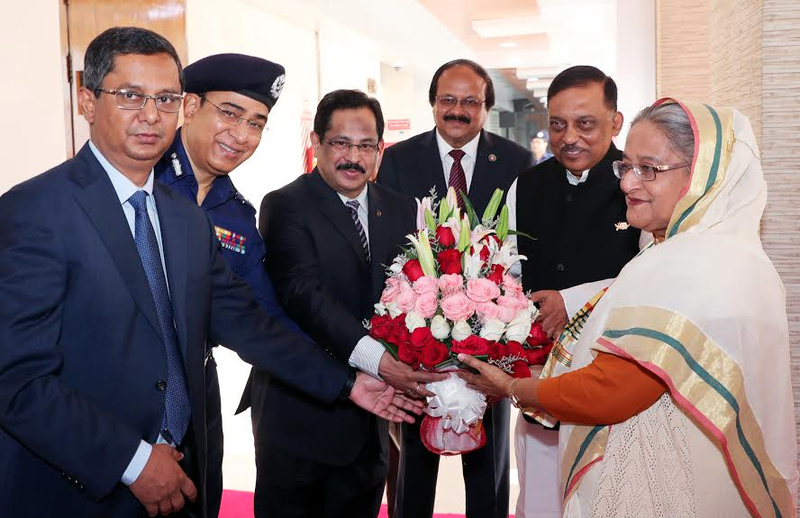 Prime Minister Sheikh Hasina today urged the home ministry officials to work for uprooting corruption, drug and militancy aimed at building Bangladesh as a peaceful nation in South Asia. The prime minister said since her return home from exile life in 1981 she has been struggling for democracy and economic emancipation of the people. Assuming office in 1996, her government was making constant efforts to reach the benefits of independence to the doorstep of the people, she said. expected services to the people. The government would look into the facilities of the service providing personnel, she said. sophisticated gadgets so that they can strengthen monitoring, locate and arrest criminals more quickly. development of barracks, dormitories and residential quarters of the police officers in all districts and upazilas.